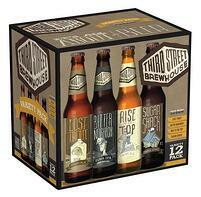 The holiday season is here, and now is the best time of year to stock up on variety packs of adult beverages. In the midst of organizing and hosting holiday parties, sporting events and get-togethers, customers are on the lookout for products that will take the guesswork out of the drink options they should provide. By providing options and seasonal assortments of beverages, you can assist them in purchasing with confidence. Autumn and winter are known for their rapidly changing temperatures. Beers, ciders, and malt beverages have a vast range of flavors, and variety packs give customers the opportunity to ensure they always have a perfect option on hand. Whether customers are purchasing a holiday or seasonal assortments for themselves or for an event, offering a variety pack is a great way to ensure total satisfaction. Whether your customers are hosting an event, or they are simply interested in experimenting and trying something new, more consumers are interested in purchasing variety packs during the holiday season. Historically, dollar sales for variety packs have increased in the weeks leading into a holiday. The changing seasons, as well as the overall festive atmosphere that the holidays bring, make this time of year a great time to encourage customers to branch out from their usual purchases and try something new. Because different displaying strategies have a profound impact on buying patterns, it is important to ensure holiday items, such as beverage variety packs, have a great display and location. To make the most of the increased sales in variety packs of beverages, make them noticeably available to your customers. When drawing attention to your variety pack options, product placement is vital. For example, remember that customers generally first notice items and displays that are oriented to their right, and that the front 1/3 of your shop receives the most attention from the average buyer. Your customers also notice products placed at their eye line; that is, between waist and eye level. By placing variety packs at eye level, you can ensure that your customers will notice the holiday options and seasonal assortment of beverages. By taking advantage of your store’s "sweet spots," (like near the checkout or popular go-to items) you can ensure that seasonal offerings like variety packs are readily available to your customers. One of the main reasons that variety packs sell so well during this time of year is the fact that they accommodate a range of tastes and preferences. 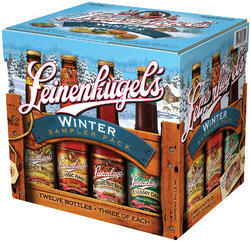 A holiday seasonal assortment offers something for everyone. Regardless of weather or occasion, your customers can feel confident that by providing a variety of beverages, they will always have great options for friends and family and everyone will be pleased. Variety packs are also a great way for your customers to get a feel for what is out there and discover their own preferences along the way. With a range of craft beers, ciders, and beverages to suit any taste, customers will quickly realize the value and quality your establishment can offer them. To make the most of the increased sales of variety packs this time of year, explore our beverage variety packs and options. With an established reputation of providing high quality and service, and a proven track record of customer satisfaction, we can help you take advantage of the power of the variety pack.